In a large skillet, sauté spinach in ¼ cup water over medium-high heat until wilted, about 5 minutes. Remove cooked spinach from the pan and set aside to cool. In the same pan, add the olive oil and reduce heat to medium, then add the tomato, garlic powder, onion powder, garam masala, jalapeño, turmeric, ginger, and salt. Stir and cook for about 5 minutes or until tomato is soft. Using the back of a wooden spoon, smash the tomato into the bottom of the pan to break it up. Once spinach has completely cooled, squeeze out any excess water and run a knife through it to chop it up. Add the chopped spinach back to the pan with the tomato mixture, stir well to combine, and heat through. Reduce heat to low. Add the heavy cream to the mixture, stir well, and cook until mixture is heated through, about 5 minutes. Serve immediately. 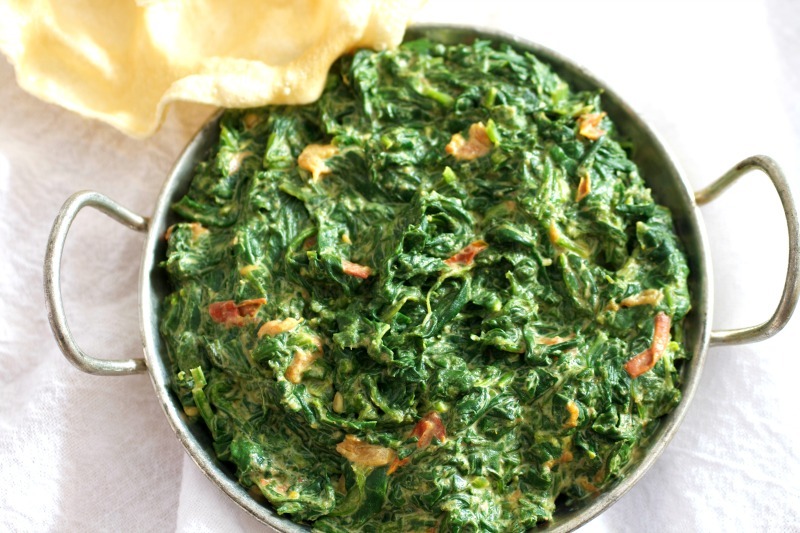 Easy Indian Creamed Spinach is a deliciously simple variation of the traditional Indian Saag. 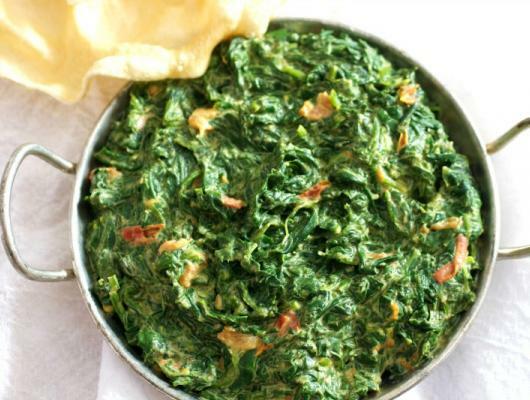 Made with fresh tender baby spinach, this dish can be on the table in 20 minutes.